2008 already saw the 150th anniversary of Darwin and Wallace’s papers on natural selection being jointly presented to the Linnaen Society in London. The 2009 anniversaries of Darwin’s birth and of the publication of On the origin of species by means of natural selection, or the preservation of favoured races in the struggle for life are being marked in a host of media – lectures, movies, articles, books, radio shows etc – covering everything from biographies of Darwin, the social and scientific impact of his ideas, the development of evolutionary biology, the current state of evolutionary biology and its place in education. Here is a list of recent and upcoming coverage related to the anniversaries. Hopefully this will be updated as more events, productions and publications come to light. - Darwin: My Ancestor BBC Radio 4, four-part radio series by Darwin's great great grand-daughter, writer and poet Ruth Padel. The Man Who Wasn't Darwin: Alfred Russel Wallace and the Founding of Evolutionary Biology , by science writer David Quammen. - What Darwin Didn't Know, 26-28 Jan - BBC Four TV documentary on the evolution of evolution presented by evolutionary biologist Armand Marie Leroi. Darwin Originals: Channel 4, short films to be broadcast in February. Darwin's Darkest Hour A two-hour drama on the crisis that forced Darwin to publish his theory of evolution. Aired October 6, 2009 on PBS. Why Darwin was wrong about the tree of life. New Scientist, lazy shock journalism heralded by the Telegraph and Guardian (and here), but rightly criticized at the excellent Sandwalk (here and here) and Evolution Blog for taking valid amendments and blowing them out of all proportion into supposed earth-shattering paradigm shifts. Full criticism bibliography here. Chicago/DarwinUniv. of Chicago, Oct 2009. Includes Richard Lewontin, Ron Numbers, Janet Browne, Elliott Sober, Eugenie Scott, Dan Dennett, Philip Kitcher, Jerry Coyne, and more. Darwin 200 Ireland - contains list of events in Ireland. Darwin Day - list of events happening worldwide, mostly focussed on US. Also has some podcasts. Cambridge Darwin 2009 - featuring a variety of contributors from the arts, science and philosophy, including Richard Dawkins, Evelyn Fox Keller, Sarah Hrdy, Steve Jones, Dan Dennett, Elliot Sober, Peter Bowler and a bunch more. Evolution’s Captain – not much info yet, based on the book Evolution's Captain: The Dark Fate of the Man Who Sailed Charles Darwin Around the World and centres on the relationship between Darwin and Capt. Fitzroy on the Beagle. 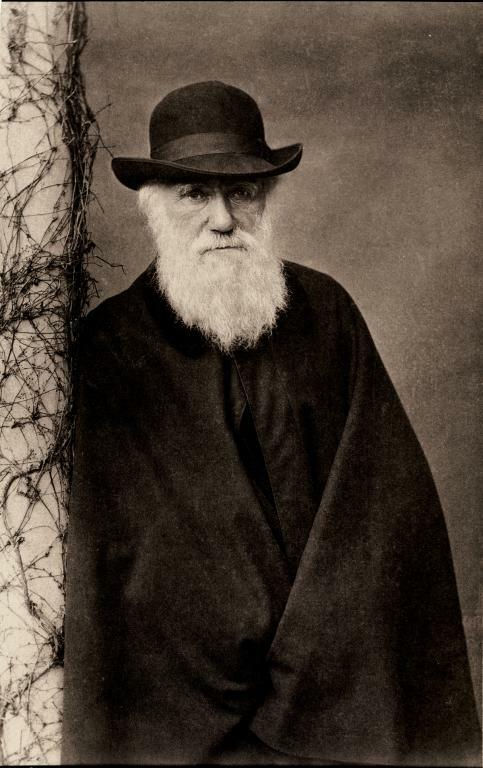 Wellcome Trust: Darwin and evolution - information and resources for schools and the public. Evolution: the big picture - Wellcome Trust booklet for schools on arguments for evolution and practical importance. Understanding Evolution resource for teachers and students. Children’s Books about Evolution and Charles Darwin - Annotated Bibliography of resources for kids and teachers across age ranges. National Centre for Science Education – science education advocacy group in the US with a focus on protecting the integrity of biology education in public schools through publications and support for students and teachers at a grassroots level. Evolution 101 podcast - short introductions to a variety of concepts within evolutionary biology. Looks comprehensive, nice one. Have you seen the Mark steel lecture documentary on Darwin? It was good. Updated with Stanford video lecture series, this week's In Our Time Darwin specials, and yesterday's 'Beyond Belief' on Radio 4. Updated with Case Western Reserve's Year of Darwin video lecture series, and this week's Science issue. I wouldn't want to upset your ma. The second is a TV program review of the BBC documentary with David Attenborough 'Charles Darwin and the Tree of Life'. "Fucker....something Moore... what a wanker"